These are top quality hotels situated on the sea front in Stone town. Self contained spacious rooms are fully air conditioned, with TV, telephone and mini bar. 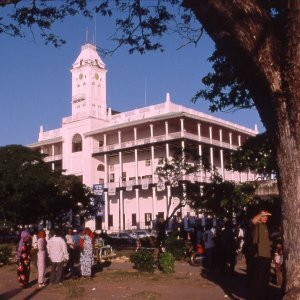 Located in the heart of Stone Town, Fully equipped with all first class hotel facilities. Located in the Stone Town with good standard rooms. Sunrise Hotel, Breezes Hotel, Zanzibar Safari Club, Blue Bay Hotel, Sau Inn Hotel.